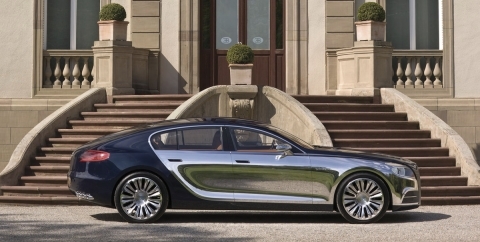 For quite some time now there have been rumors of a four-door supersedan from Bugatti. Previously referred to as the Bordeaux, we now know that this new potential offering will be dubbed the Bugatti Galibier Concept. “Galibier” is the name of one of the most treacherous stretches of alpine roadway along the Tour de France. But it also was a version of the Type 57 C that was built between 1937 and 1940. This new concept is definitely a re-invigoration of this stellar saloon. 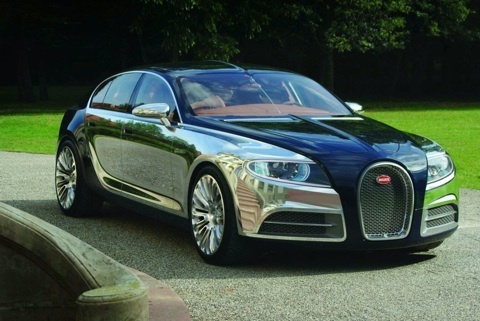 The Bugatti Galibier Concept was just unveiled in all its glory at the conclusion of the company’s 100 year celebration in Molsheim, France. This vehicle is designed to be “the most exclusive, elegant, and powerful four door automobile in the world.” And it looks like it has accomplished its goal. That said, the President of Bugatti indicated that this concept is just one of several models the company is considering going forward. Bugatti has always been pretty progressive when it comes to design and engineering. As one of the first manufacturers to embrace aluminum for use in the engine blocks, body and wheels, it’s no surprise that they are on the bleeding edge of experimenting with new material combos. 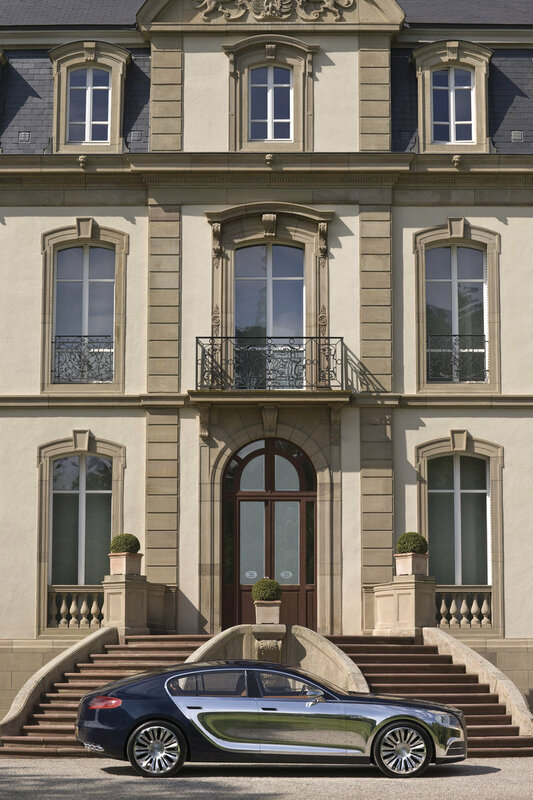 The two-tone outer shell is testament to the company’s mandate. 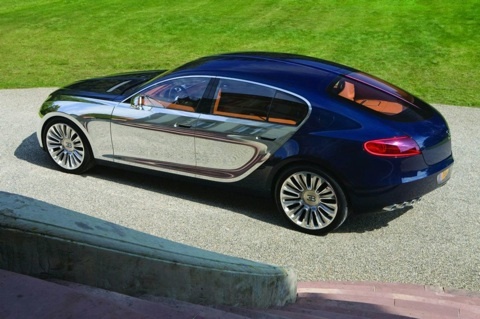 The Bugatti Galibier Concept features a body that’s built from handmade dark blue colored carbon fiber pieces. The coolest aspect is that when lights hit it, there is a brilliant shimmer. The doors and front quarter panels are made out of polished aluminum. The original Bugatti Type 35 featured a torpedo-like body style and the Galibier picks up where this model left off. It also sports a prominent center spine, clam-shell design from the Type 57. The company’s trademark radiator grill and big LED headlights give the Galibier immediate identification with the brand. The hood of the Bugatti Galibier actually folds back from both sides to reveal a 16-cylinder, 8-liter engine with two stage supercharging capable of running on ethanol. This engine differs slightly from the W16 engine found in the Veyron by its front mount and flex-fuel functionality. This all-wheel drive monster is capable of reaching 217 miles per hour (according to recent reports) and benefits from specially developed ceramic brakes and a new suspension design fully capable of handling a car of this size and strength. As can always be expected from Bugatti, the interior is as plush and luxurious as ever. However, this time around it has a much more simplistic and toned-down demeanor. The dash panel features two centrally located instrument readouts which keep the driver and passengers alike updated on the car’s speed. There is also a removable Parmigiani Reverso Tourbillion clock that can actually be thrown on your wrist. 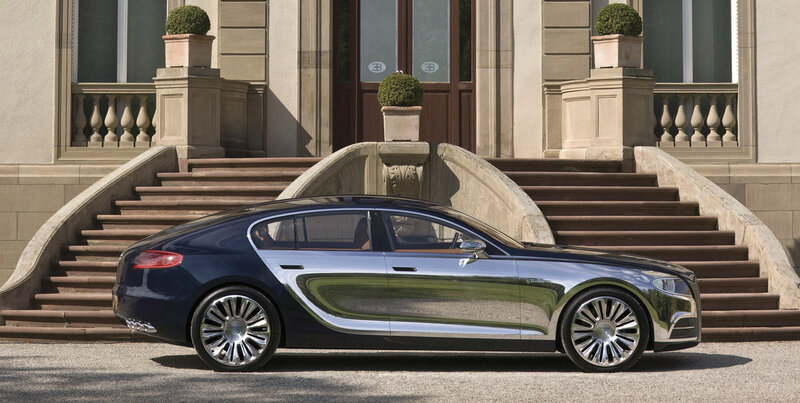 There is no estimated price or tentative production information available on the Bugatti Galibier Concept. And there are conflicting reports on whether or not it will make a special appearance at the 2009 Frankfurt Motor Show. We’ll keep you updated as new developments emerge. Cars in 1939 were BEAUTIFUL. perhaps it will be more appealing in the flesh. i see a variety of styling influences like the continental gt coupe but the polished alum, which i usually love seems a bit much. also the lines are a bit off.